Each preserved flower is delicately chosen and put together as an arrangement. We have provided you the option to add a personalised gift message for the intended recipient. Preserved flowers and foliage can be enjoyed for months or even years when kept in an air tight, non-humid environment. They do not require water, fertilizer or sunlight. Avoid exposing preserved flowers to direct sunlight for prolonged period. Due to the high humidity level in Singapore, keep them away from places where air enters or where there are ventilation grilles. An air-conditioned or low humidity area around your home or workplace will be ideal for any preserved flowers and foliage. Do not press, bend or squash the petals or stems. They are delicate and can be damaged easily. Each of our floral arrangement is unique and delicately hand-crafted with seasonal flowers. 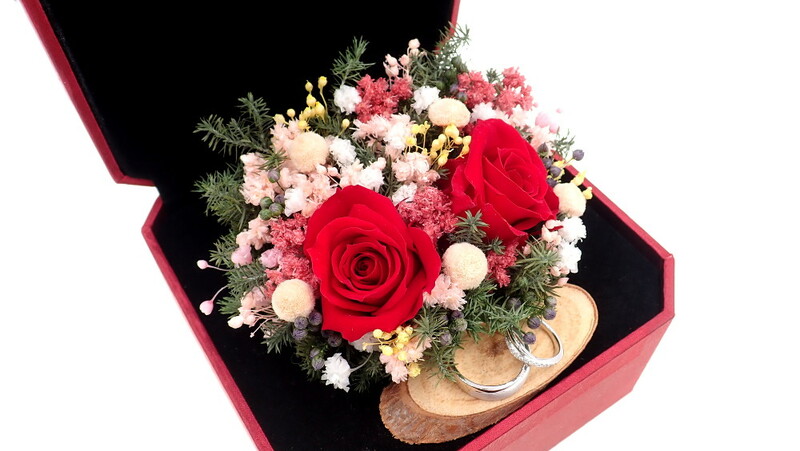 Not every flower in the photo will be available at the time of order. 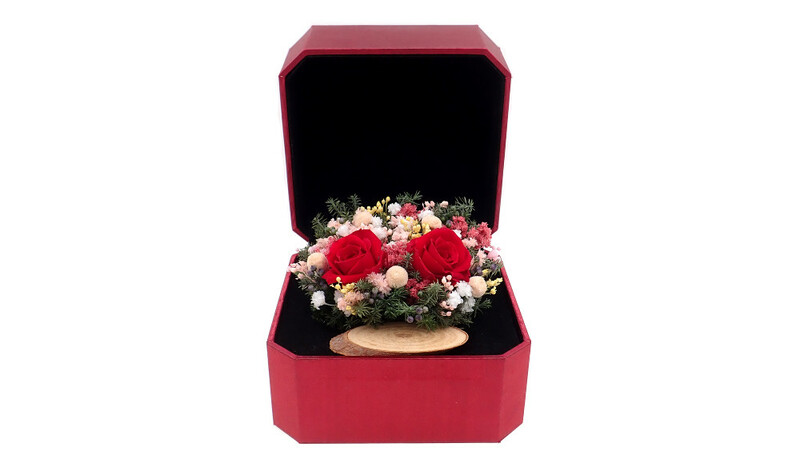 We promise to deliver the product with the same style and mood of each arrangement.